We experienced a tantalising flicker of high summer the other day, the kind of weather that moves the great British populace to invoke the inalienable peasant rite of “pulling a sickie”. The swards of Clapham Common were plastered with comely youths flaunting and slurping wines as pink as their unprotected flesh. This trio of Italians need to detain you only for their deliciousness. As with the best wines in this novella style, there is a generosity of fruit and easy naturalness to the wine. We begin with the return of a familiar, namely the Unlitro from Ampeleia. In the 60’s, Erica and Peter Max Suter, a Swiss couple, bought an abandoned farm and turned it into a rural estate with woods and pastures, breeding sheep and pigeons as well as planting a vineyard. Soon the Meleta winery (in Italian, ‘Meleto’ is an apple orchard and the winery was named after the orchard on its land) was known for its wine and products. It was at that time that Cabernet Franc and Merlot were introduced to Roccatederighi. Ampeleia was born in 2002 from the collaboration and friendship between Elisabetta Foradori, Thomas Widmann and Giovanni Podini. They saw in Ampeleia a place where they could not only develop an agricultural project but also fulfill a common vision relating to shared values and experiences. Since 2009, Thomas’s intense political commitment in his homeland has compelled him to forsake his involvement in Ampeleia. The main building – typical to this region – is a small and simple farmhouse with a terrace and garden. It now houses Ampeleia’s winery as well as the tasting room and offices. The wooden barrels and casks are kept a little further down the slope, deep underground; old sheds left by the previous owners and adapted to today’s needs are interspersed with small stone shelters and ancient buildings. The vines in Ampeleia grow at a range of altitudes and on different soils: the great geological variety found in the area around Roccatederighi represents a rich pool of diversity. From the rocks of the medieval village of Roccatederighi, one descends to the coast and sea, in a landscape woven with countless fields hidden in the dense vegetation of Mediterranean scrub and holm-oak woods. Today, the estate extends over three altitude levels and covers 35 hectares of vineyard. The grapes for the Unlitro come from Ampeleia di Sotto. 15 hectares of which 10 hectares of vineyards, including the plots closest to the sea and most similar to the deeply Mediterranean character of this region. The vineyards, found around 200-250 metres above sea level, are planted with traditional Mediterranean grape varieties and this country wine is made mainly from Alicante (also known as Grenache, Cannonau or Garnacha) with some and Alicante Bouschet. Fermented with native yeasts in cement vats and aged in the same Unlitro is a testament to sharing, a spring/summer red, refreshing and joyful, clean with notes of cooked strawberries, ripe cherry, pomegranate and gentle earthy vegetal notes. Antonio Camillo was born and bred in the Maremma region along Tuscany’s Tyrrhenian coast. He chose his homeland, specifically the area of the Maremma Alta, to make wines ‘that can talk about their terroir and that can be easily recognizable for their character and their class’. For 25 years Antonio has taken care of vineyards and wine, working in major wineries around Maremma. In 2006 he embarked on his own wine project, dedicating his time exclusively to indigenous grapes: walking along the rows of vines in Maremma, selecting the best vineyards for their exposure, soil and age. He works almost exclusively with old vines, aged between 40 and 50 years. Vines are cultivated according to traditional methods, with little intervention so as not to stress on the plants. To help keep the vines healthy, only organic products are used (copper and sulphur). He chose to work primarily with Ciliegiolo, an ancient variety genetically related to Sangiovese, and began searching for old vine vineyards, eventually buying 6 hectares in Manciano, a medieval town literally just steps from the Saturnia hot springs. These hot springs have been popular since Etruscan times, but wine-wise, it means that the volcanic soil is rich in nutrients. The variety Ciliegiolo – ciliegia means cherry – was often used in Tuscany as a blending component for its cherry scented vibrant fruit. Antonio, believing in the grape in its own right (he is known as the Mozart of Ciliegiolo), produces a wine from organically grown and ICEA-certified forty year old Ciliegiolo vines, showing fresh, bright red cherry, raspberry and blueberry fruit with floral notes. The palate is ripe and almost zesty with refreshing acidity that calls for something on the grill, Tuscan style. He also makes a lovely Morellino di Scansano and a Procanico. We have just received a new wine from him called Tutti I Giorni, a generous blend of Sangiovese 50%, Ciliegiolo 40%, Alicante 10% from hand-harvested grapes. With a short maceration this is fermented in cement with its own yeasts and handled minimally – extraction is not sought. Set the drink-ometer to litre for this another wine that attracts company like ants to a picnic. The fruit is all about strawberries and just-picked cherries, it has a gentle warmth with a fresh follow through. Tutti I Giorni means everyday wine or wine that you drink every day. Hence the litre bottle, wine for the table, for company and without pretension. When life gives you hailstones, make Lezer. This wine was the happy result of an experiment after hail wiped out 40% of the production of Teroldego from the 2017 vintage in the Foradori vineyards. Teroldego is an old grape – documents about it have been discovered dating back to the late 14th century. But this is a pure nouveau wine. This Foradori cuvee is light. Down to the light clear glass and the verging-on-the-rose colour. This is a different concept with a bit of everything in the recipe. Ferments are spontaneous in all formats – amphora, cement, steel and old wooden barrel are employed. Every component, however, has less than 24 hours maceration. The resultant juiciness is bottled without filtration or fining and just the tiniest amount of SO2 (total is 27 ppm). Based also on the love of the Alto-Adige Schiava wine, a classic wine of the spring. There is also a political statement reminding oneself that wine is a drink for the working people and ought not to be priced beyond their pocket. Lezer will be a fixture in the Foradori portfolio. Two of these wines are housed in litre bottle and the other might as well be bottled in jeroboam with a very long straw. These three wines are an antidote to the seriousness with which wine is regarded. We tend to over-analyse, insist on chapter-and-verse technical winemaking lore; we want to understand to the nth degree and we believe that wines have value and that value rises according to the complex endeavours of the winemaker. Two of these wines are housed in litre bottle and the other might as well be bottled in jeroboam with a very long straw. 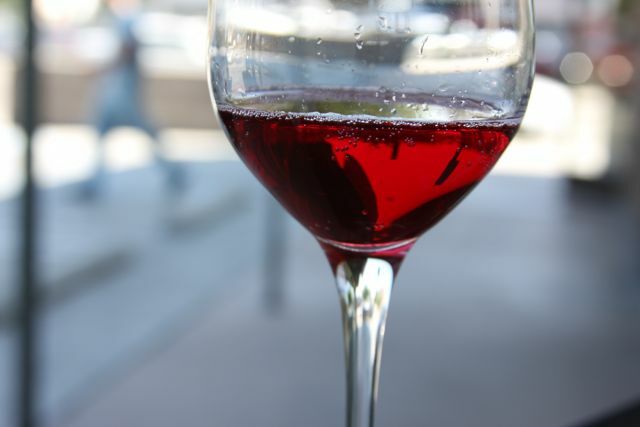 They are wines of the territory, but also reflect that wine is a convivial drink. 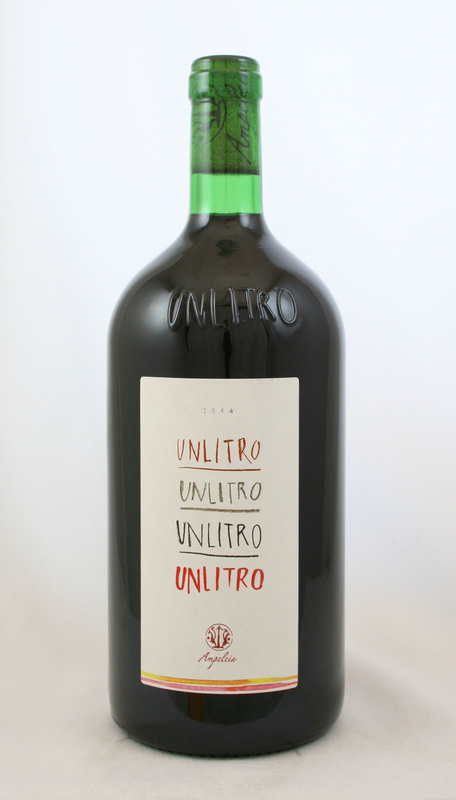 They are priced at a point where there is virtually no money being made on the product – in that sense they make a political statement as if to say that wine should be available to all, that it is a wholesome part of our lives, that it is tutti i giorni.